DC UPS, uninterruptible power supply is a rectifier that is which is used as a precaution against to voltage and currrent need for a long time power outage. When you use 125 Volt 100 amper DC UPS, you can be sure that your systems and apparatus’ are under protection. As Mak Plus Power Sytems, we produce the DC UPS 125 volt dc charging and 125 volt dc electrical 100 amper supply solutions in Germany and Europe. ,Our expert Mak Plus Power Systems family for 30 years do the best DC UPS devices to give you best solution. The DC 125 volt UPS is robust and highly efficient. The DC 125 volt UPS chargers are designed with a thyristor or a switch mode with IGBT and they are designed in Germany. Our DC UPS 125 volt chargers are automatically controlled when the battery full as well as the systematic of the life time. The DC UPS 125 volt battery chargers are easy to support and control the needed supply voltage and current values. The output voltage 125 volt DC UPS is suitable for Germany and all over the world. 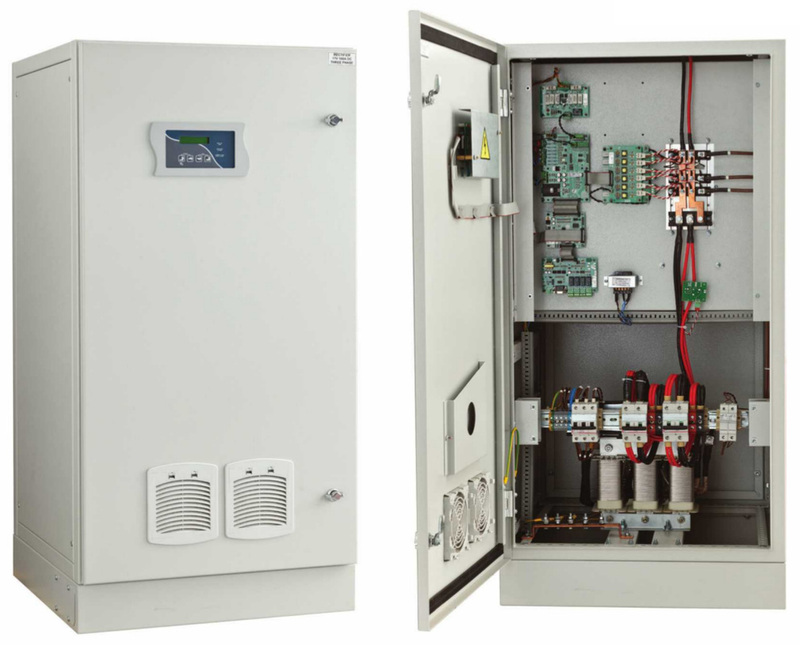 There is a protection systems for over load voltage. It has been designed according to European standards. We offer you best quality the 125 Volt 100 amper DC UPS with low total investment cost. 125 Volt DC UPS uninterruptible power supply machines can work so quietly. You can be sure that, our technical team and engineers will always support you whenever you need. The chargers and the DC supplies are used for GSM sector, for Huawei and Alcatel GSM base station, telecoms, IT, customized sector and oil sector as well as transportation sector in Germany. The 125 Volt DC UPS solutions are highly efficient and designed in order to be used with different applications all around the world and they produced in Germany. Our 125 volt DC UPS solutions work with 125 volt dc solution. Our 125 volt DC UPS solutions are working with different charging currents like 20 Ampere, 30 Ampere, 50 Ampere, 100 Ampere. Needed rectifier supply for your loads are important for us to support your electrical need. Also discharging solutions are controlled with bi-directional diodes for high efficient solutions.The 125 volt DC UPS solutions that we produce are used for petrol refineries, power plants, GSM sector.Our 125 volt DC UPS is used with lead-acid batteries and NiCd batteries to supply strong power to the loads. The 125 volt DC ups solutions are produced in Germany or Europe with high quality standards. The DC UPS solutions are 100 Ampere and 150 Ampere solutions are especially our standard dc UPS solutions. The 125 Volt DC UPS charger from Germany 100 is environmentally and user friendly.